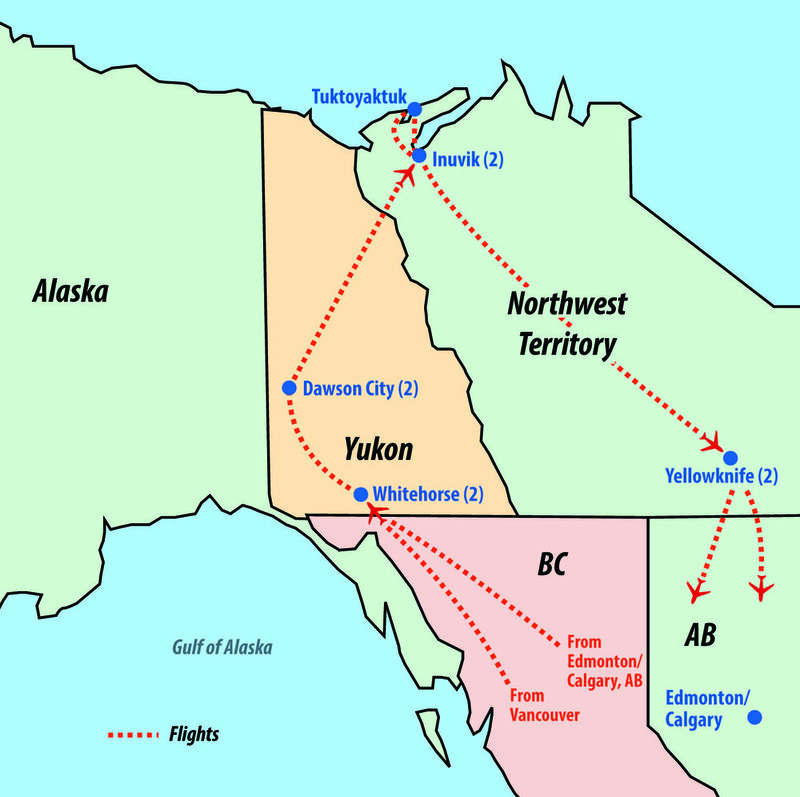 This Select Holidays Departure, will explore Canada's Yukon & Northwest Territories: "The Land of the Midnight Sun"! Take a walk on the wild side of Canada's North. This is a land of incredible beauty, with breathtaking scenery at every turn. Visit the communities, meet the people, enjoy the moment! Flight into Whitehorse, the capital of the Yukon Territory. Transfer to hotel for a 2-night stay. You may want to join a pre-tour to the Calgary Stampede, Alberta Rockies and Saskatchewan Farm tour. This morning you will fly over the McKenzie River Delta to the northern community of Tuktoyaktuk. The delta is approximately 62 km across. The hamlet is commonly referred to as Tuk and is located on the shores of the Arctic Ocean and lies north of the Arctic Circle. A local guide will give you a cultural tour of the hamlet and a “northern lunch” at his home. You will have a chance to dip your toes in the frigid waters of the Arctic Ocean. View the “Pingos” which are mounds of ice buried under dirt and vegetation, as you return to Inuvik this afternoon, via the new road that connects Inuvik and Tuktoyaktuk. The evening is free to enjoy how you would choose.